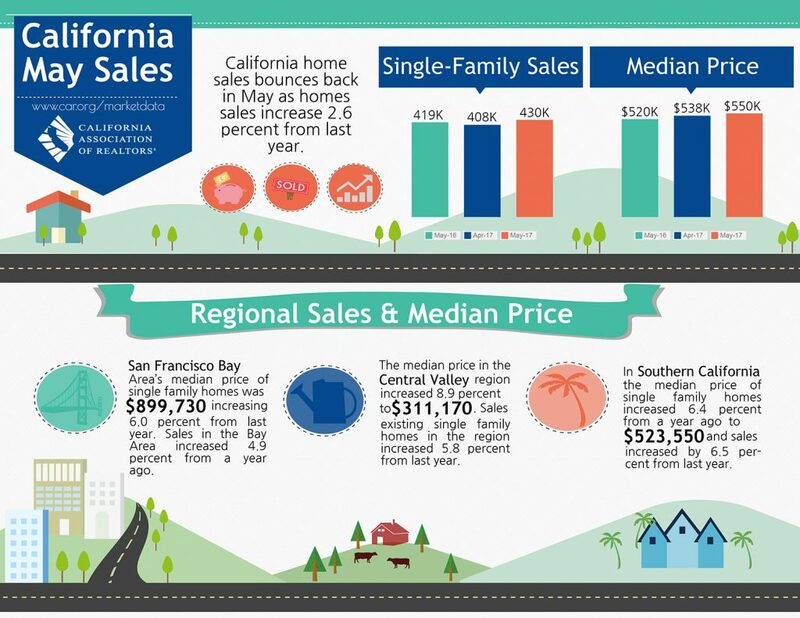 California home sales bounce back in May as homes sales increase 2.6 percent from last year. San Francisco Bay Area’s median price of single family homes was $899,730 increasing 6.0 percent from last year. Sales in the Bay Area increased 4.9 percent from a year ago. The median price in the Central Valley region increased 8.9 percent to $311,170. Sales of existing single family homes in the region increased 5.8 percent from last year. In Southern California the median price of single family homes increased 6.4 percent from a year ago to $523,550 and sales increased by 6.5 percent from last year.